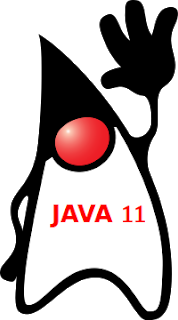 Java 11 was officially released by Oracle on 25th Sept 2018. This blog post highlights the subset of features in this next major release of Java that will be of most interest to enterprise Java developers. These include a small number of new language features, for which I have also provided some code examples showcasing how they can be used. This post also outlines the significance of this new Java release from a support & maintenance perspective; upgrade considerations; and includes a reminder about the recent change in the licensing terms for the Oracle JDK. This entry was posted in Uncategorized and tagged java on 10 November, 2018 by neiljbrown. Oracle have recently made several changes concerning how they maintain, support & license use of Java (more accurately the JDK). This has commercial & technical implications for all enterprises running apps on the JVM (users of the JDK) in production – regardless of the app programming language (Java, Groovy, Kotlin, etc). Don’t panic! Java is still free. But anyone responsible for developing or provisioning JVM apps for production usage needs to be aware of these changes and consider how it impacts their teams and business. This entry was posted in Uncategorized and tagged java on 27 October, 2018 by neiljbrown.